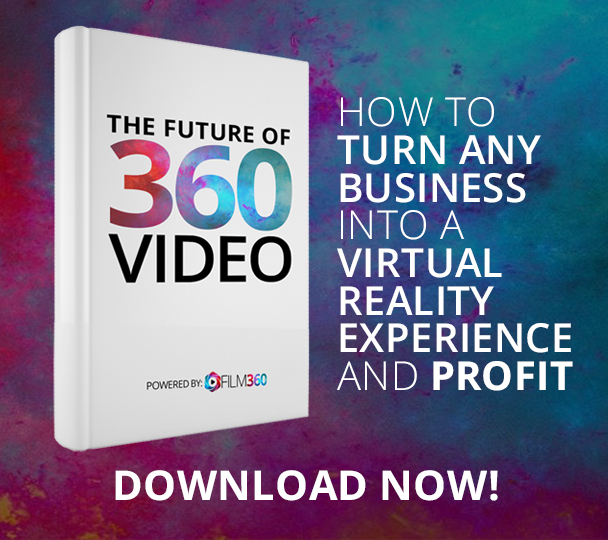 Virtual reality has been touted as the "next big thing" over the past few decades, but the technology never seemed good enough to create seamless virtual worlds. But recent advancements in graphics, motion sensors, and mobility have finally paved the way for a new wave of VR headsets -- tethered to PCs, smartphones, and gaming consoles -- to reach a wider range of mainstream consumers. Let's check out twelve impressive stats about the virtual reality market that tech investors should know. 1. The virtual reality market could be worth $30 billion by 2020, claims tech M&A advisory firm Digi-Capital. Most of that growth is expected to come from sales of VR headsets, games, and videos. 2. 500 million VR headsets could be sold by 2025, according to Piper Jaffray. That could be good news for first movers like Facebook (NASDAQ:FB) and Samsung(NASDAQOTH:SSNLF) with their respective Oculus Rift and Gear VR offerings. Component makers like AMD also stand to benefit. 3. 171 million people could be using VR hardware and software worldwide by 2018, according to research firm KZero. The firm categorizes the majority of those users as "early majority (mainstream)" users including kids, tweens, and teens, indicating that VR headsets could replace or complement gaming consoles. 4. You'll have to wait up to four months for an Oculus Rift headset, due to a supply shortage and ordering processing issues. But that hasn't stopped Facebook from showcasing the headset at brick-and-mortar stores. 5. Google's Cardboard app has been downloaded up to 10 million times. Although the Rift's orders have been delayed, many mainstream consumers are downloading Alphabet's(NASDAQ:GOOG) (NASDAQ:GOOGL) app to experience VR on inexpensive cardboard headsets for their smartphones. That enthusiasm convinced many Oculus developers to port their apps to Android devices. 6. One million people have used Samsung's Gear VR over the past month, according to an Oculus statement in mid-May. That's a significant milestone indicating that mobile-based VR solutions, which don't require high-priced PCs, might be more widely accepted by mainstream consumers. 7. Nearly 1.3 million people subscribe to the YouTube 360 channel. Google's push into panoramic 360-degree videos is also paying off and getting mainstream viewers interested in the idea of viewing VR content. That interest is fueling the rise of pricey 360-degree camera rigs. 8. Over one million hours of video have been watched on Gear VR, according to Facebook's statement in February. That's another major milestone for Facebook's Oculus Home ecosystem, which powers both the Gear VR and the Oculus Rift. 9. 250 apps are available for that ecosystem, Facebook claimed in May. That's not much compared to the two million apps on Google Play, but it's definitely enough to keep new headset owners busy. Like Google, Facebook keeps a 30% cut of paid VR app sales. 10. 200,000 developers have already registered to build games for the Oculus Rift. This means that VR apps could become a major source of revenue for Facebook and help itrecoup the $2 billion it initially spent acquiring Oculus. 11. 28 million people could be paying for VR hardware and content by 2018, according to KZero. That's up from the just 4.8 million estimated early adopters this year. 12. There are currently 685 virtual reality start-ups with an average valuation of $4.5 million, according to start-up tracking site AngelList. The three most followed VR start-ups on that list are VR tool creator MediaSpike, VR social network TeliportMe, and VR publishing platform Sketchfab. Let us know what you think of these Amazing statistics and comment with where you think 360 is going! Be sure to follow us on Facebook @Film360Co!